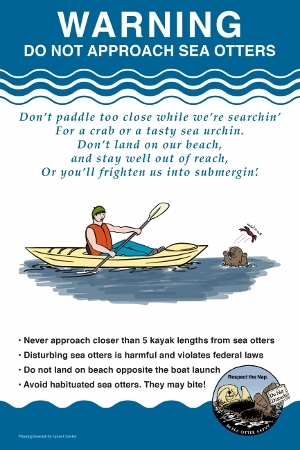 There are simple guidelines marine recreationists can follow to avoid disturbing sea otters. Practice these yourself, and encourage others to do the same! 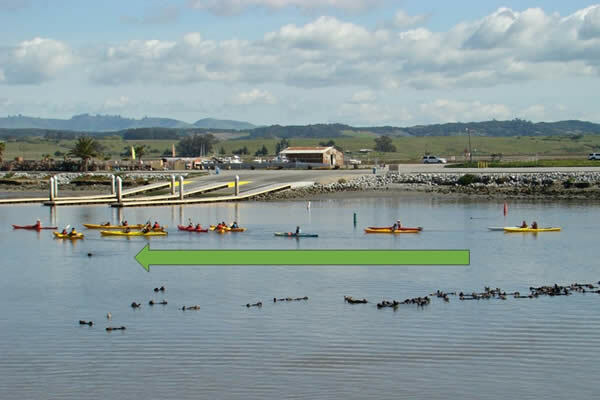 Recognize that incidents involving direct contact between a sea otter and you or your pet are very dangerous. 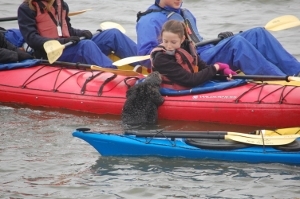 If a sea otter approaches you while you are paddling a small craft or on shore, paddle away to avoid direct contact. 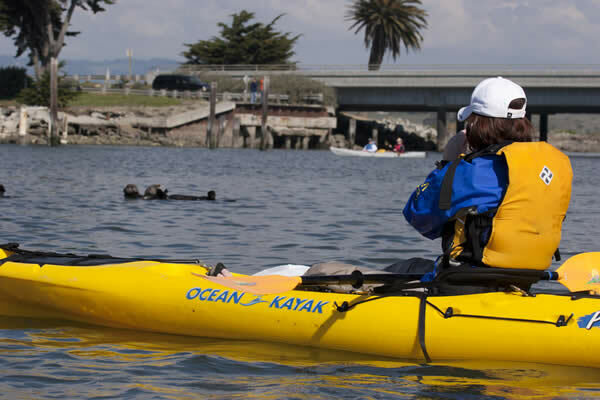 If a member of your party is being approached by a habituated sea otter, render assistance in keeping the sea otter off their kayak. Do not attempt to touch or pet the sea otter or pause to take pictures. 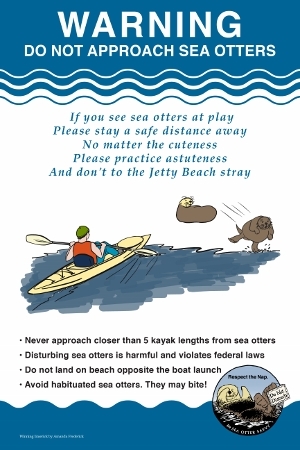 Do not allow your dog to chase, harass, or interact with a sea otter. A sea otter is capable of harming and even killing your pet. 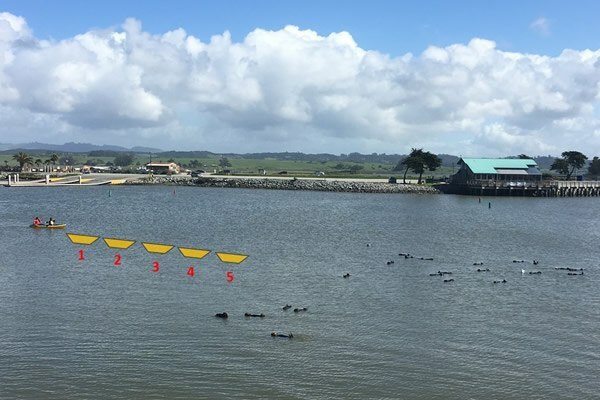 Be a good sea otter steward off the water: Recognize videos and photos of habituated behavior may promote similar inappropriate and dangerous interactions with wildlife in the future. Use care when you share! Your behavior can help protect and save sea otters! Encourage others to think about the needs and well‐being of sea otters when they are viewing them—be a sea otter savvy role model! Be proficient at handling and maneuvering your watercraft, whatever type or size of craft you are operating. First time kayaking? Ask for instruction on how to turn and stop skillfully before launching. It's safer for you and it's safer for wildlife! 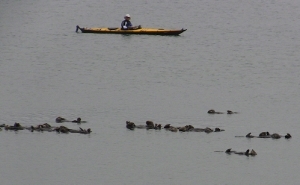 Most people love sea otters and do not wish them harm. 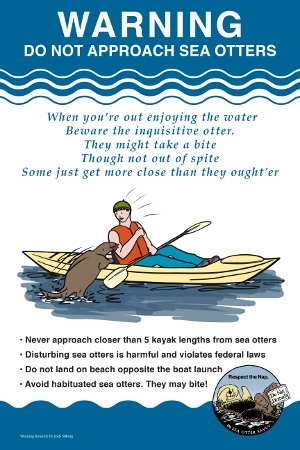 Armed with a little information, we can share the coastal environment respectfully and peacefully with sea otters! 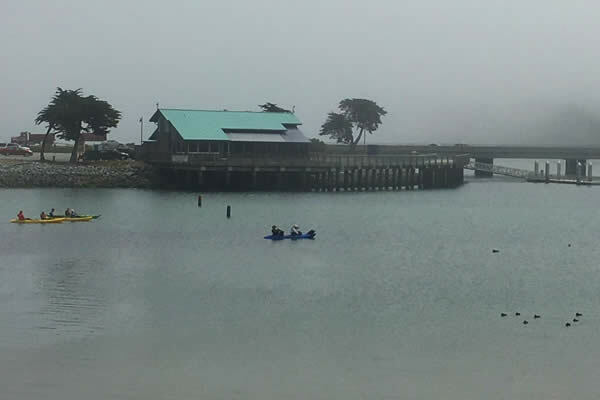 Understanding the needs of sea otters is most important to help prevent disturbance, but don't forget, sea otters are protected from harassment by two federal laws, state law and a number of local laws and regulations. Harassment and disturbance of them, even when unintentional, violates the law!